Thank you to 0024 WatchWorld for recognizing ochsundjunior.swiss as one of the top watch company websites in 2013! Ludwig Oechslin’s ochs und junior watches are exclusively sold from Zürichstrasse 49 in Lucerne. 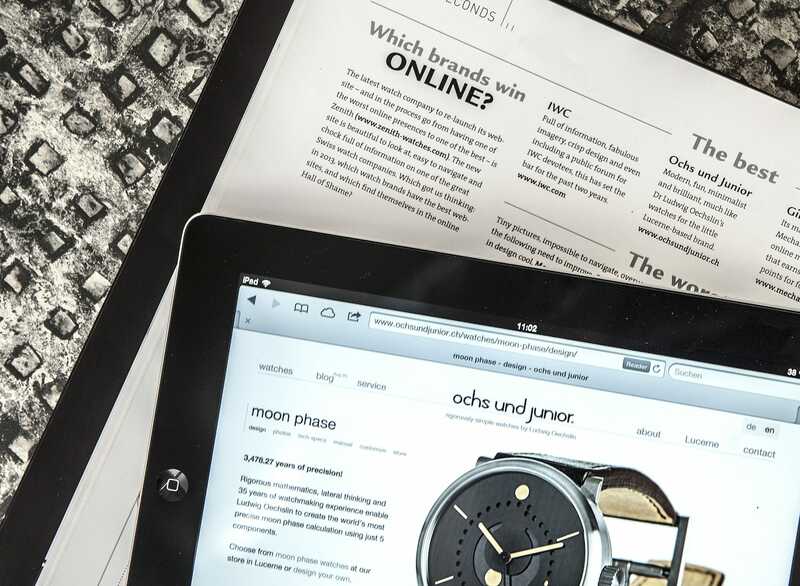 The ochs und junior website enables anyone to discuss their personal timepiece with cofounder Beat Weinmann and have it shipped worldwide via FedEx. The web is so fundamental to ochs und junior that we design and author the entire website in-house. We have exciting plans to make it even better in 2013 and 2014!